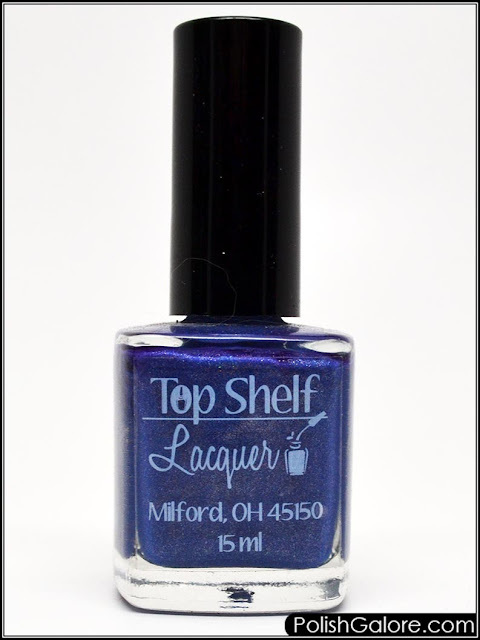 I started with a base coat of Morgan Taylor REACT Max, 2 coats of polish and finished with Glisten & Glow top coat. This is such a "Barney" purple! I love that you can see the holo even in my light box. 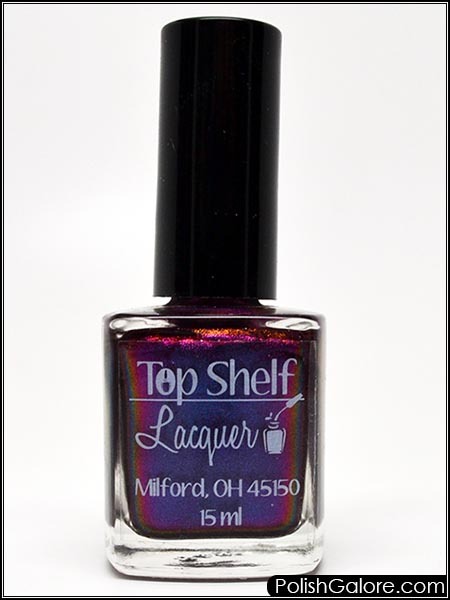 I wish we had some sun so you could really see that scattered holo shine! 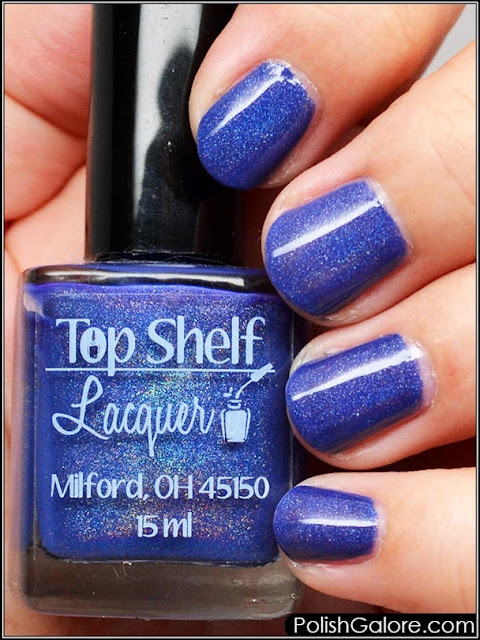 Top Shelf Lacquer can be purchased on their website. Join the social conversation on Facebook, Instagram and Pinterest.